My neighbors in Clairemont are trying to stop a housing project that would get people off the streets and provide them with necessary services. Passing the responsibility for our crises onto other communities solves nothing. It’s no secret that San Diego, and nearly all of California, is in the midst of a housing affordability crisis. 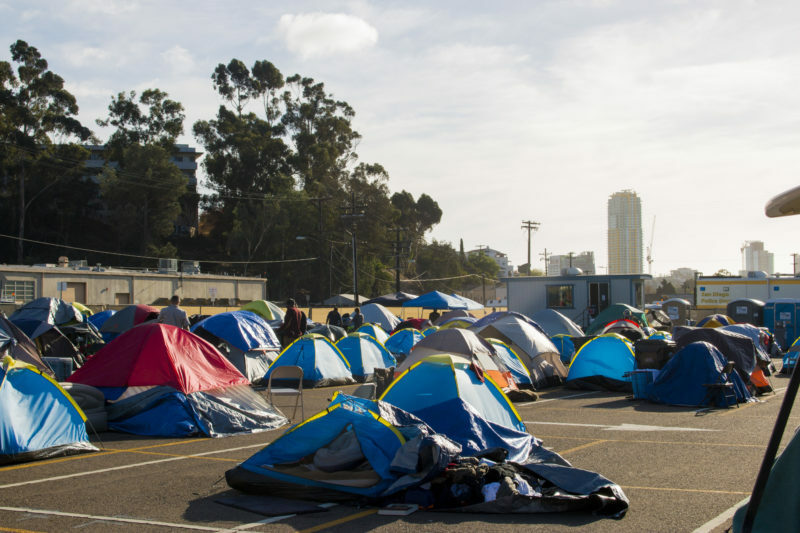 It’s also no secret that San Diego has seen an influx in the number of folks experiencing homelessness. I don’t know anyone who enjoys seeing these folks living in squalor on the streets — and yet seemingly every reasonable solution encounters resistance. Challenges of this magnitude require that every neighborhood does its part. That’s why I was so disappointed to see my neighbors show up to the Clairemont Community Planning Group’s meeting in May to vehemently oppose a private project that would bring about 60 supporting housing units. Health care and addiction services would be provided at the Mt. Alifan Drive site, as well as help finding jobs. Despite this, my neighbors complained that they didn’t want alcohol abusers, homeless people or dangerous criminals in our neighborhood. They also insisted that the “housing-first” model doesn’t work. Although this project doesn’t require input from the community planning group, the group inserted itself into the discussion anyhow and is considering the formation of an ad-hoc committee on homelessness that could result in more red tape. Whether they realize it or not, my neighbors are telling the people trying to get their lives back on track that they aren’t good enough to live in the Clairemont community. That their struggle doesn’t matter. That they should pull themselves up by their tattered bootstraps. They always argue that some other neighborhood would be better — ensuring that nothing changes and that responsibility is passed around. With SANDAG projecting that, by 2050, there will be a 150,000 unit shortage in San Diego, every neighborhood needs to build and build now. We know that “housing first” is a proven model, because it provides homeless families a stable environment without overly difficult barriers. It’s working in Detroit, Hawaii, Seattle and more. It works because it prioritizes security and housing over other issues, such as sobriety. Just consider how hard it would be for any of us to focus on finding a job, getting sober or otherwise getting our lives back on track if we didn’t have a place to call home. Consider how hard it would be to get ready for a job interview without a mirror, electricity or clean water. The opponents of the Mt. Alifan Drive project have attracted much of the attention, but the good news is that once the site is developed into supportive housing, nearly 60 folks will no longer be homeless. They’ll be our neighbors, and welcoming them to our community should be a priority. And while we’re working on this project, we should also be working to identify other areas in our region to build more housing. San Diego should be famous for its weather, binational relationships and delicious tacos, not for our housing and homelessness crises. If we want to get there, everyone in the region needs to do their part. I hope my neighbors, and all San Diegans, will open their minds and encourage the political leadership, planning groups, labor unions and business community to set aside their petty fights and build like they’ve never built before. Shawn VanDiver is a Navy veteran and formerly served as the chief operating officer of the Three Wise Men Foundation, a veterans nonprofit. Shawn VanDiver is a U.S. Navy veteran and San Diego chapter director of the Truman National Security Project, which advocates for veterans in public policy.